Marine Grade Standard Turn Button Stud - Nickel Plated Brass are also known as Twist Lock & Common Sense Fasteners. 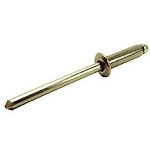 These Dot® Brand Fasteners are by far our favourite positive locking, non-knuckle busting fastener. Assembled with a spring attatched knob or button which holds it under tension until turned by hand. Accidental openings are thus prevented. 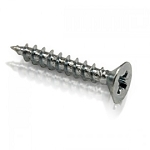 Q: What diameter are the screw retaining holes? 4.5 mm. You would use a #6 screw to attach these.